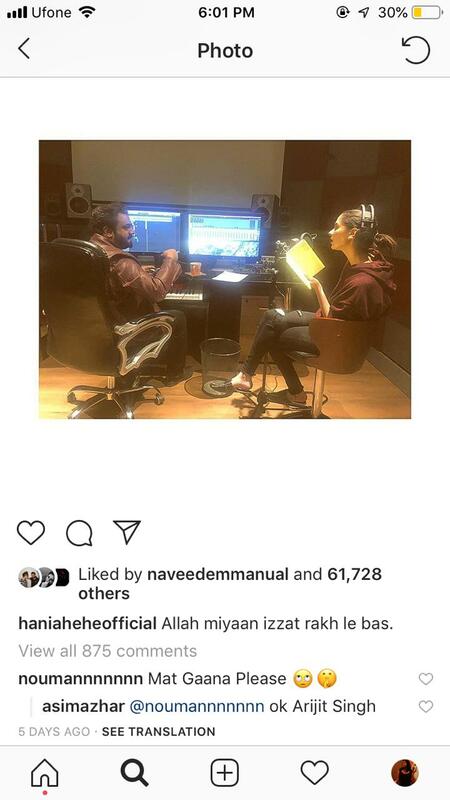 Asim Azhar and Hania Amir have recently been all over our social media. And on account of the speculations, the two might just be dating. Last month, the two of them walked on the ramp together at the Bridal Couture Week (PHBCW Lahore), that soon after became the talk of the town and rightfully so. The dynamic duo, as they were called, show stopped for Munib Nawaz and most of us couldn’t stop gushing over how adorable they looked together. Now, we all have seen the latest trend on Instagram where couples hype each other up – cases in point; DeepVeer, PC and Nick Jonas etc. by commenting incessantly on each other’s posts. 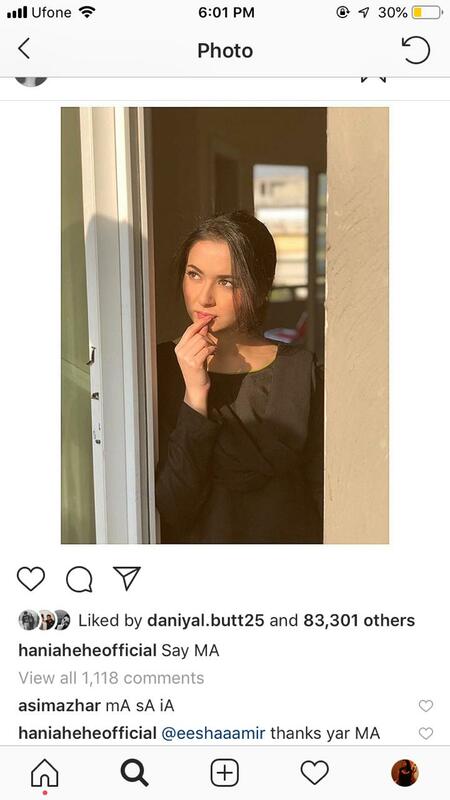 Following their suit, Hania Amir and Asim Azhar have lately been seen commenting on each other’s Instagram posts, complete with flower, rainbow, and fire emojis (you get the picture, right?). This is absolutely not an isolated incident and has been going on for a while now. 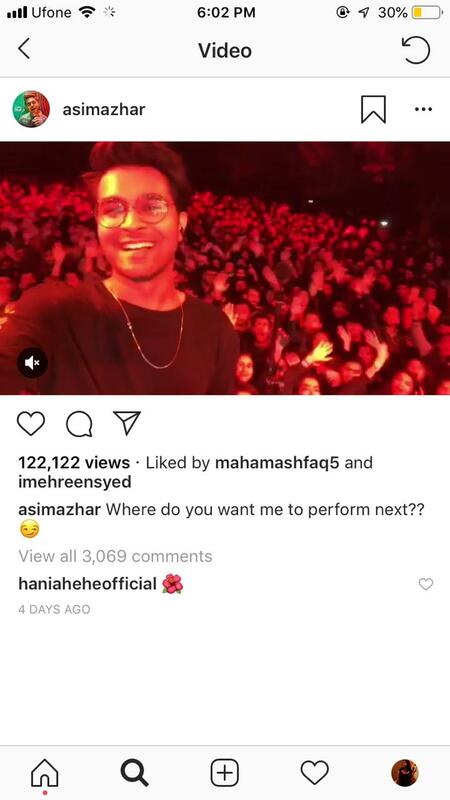 Look at Asim Azhar jumping to Hania’s defense when a commenter left a slightly mean comment. If this isn’t wholesome, I don’t know what is. Fortunately, that’s just not it. 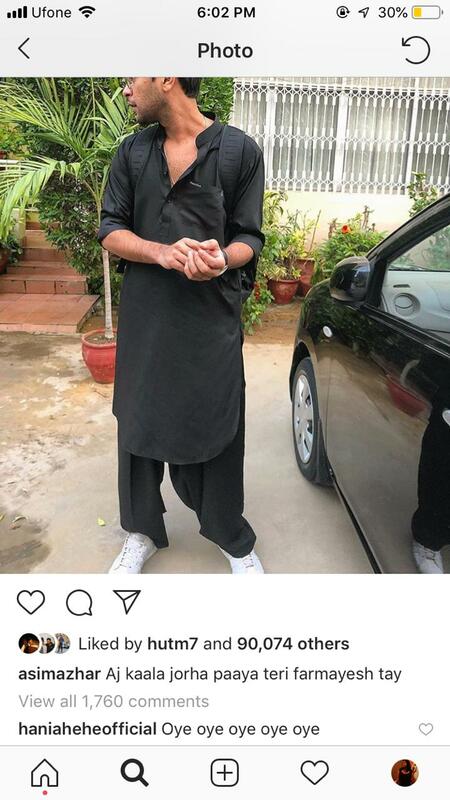 Asim Azhar has also been leaving cute suggestive comments like “MA (Mashallah) se IA (Inshallah)” etc. etc. I mean, I think this is literally all the proof that we need. 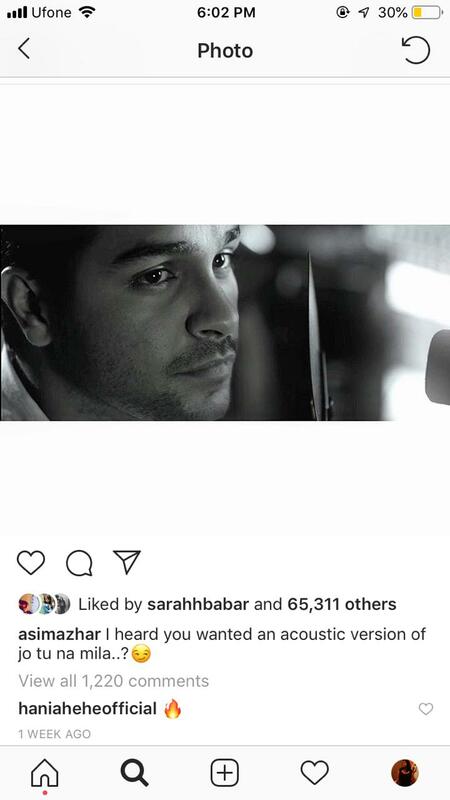 Let’s now move on to Hania’s comments on Asim’s photos because hey, we need to analyze both sides. 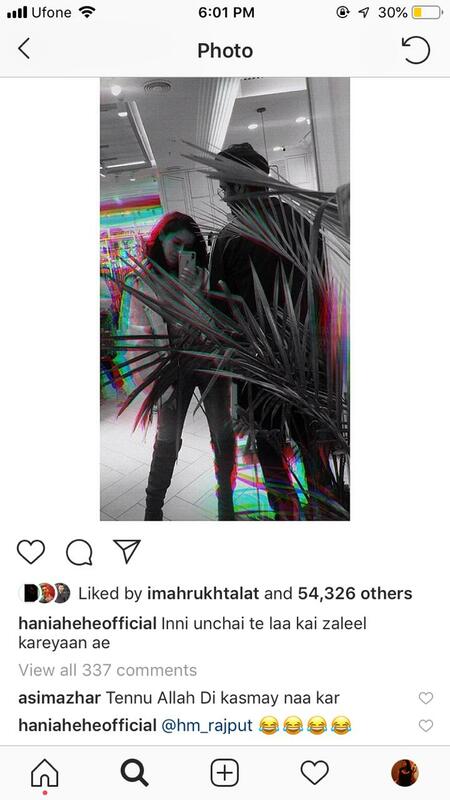 Now, Hania’s comments mostly comprise flower and fire emojis but we are not complaining. That’s just Hania rooting for her bae. So wholesome. Here is a fire emoji comment too, for y’all. This one is slightly cheeky but then again, this indeed is a very nice photo of Asim Azhar. Here’s hoping these two make their relationship official super soon (no pressure from our side, only if they want to but we definitely wouldn’t mind it).